Surrey have announced that their trio of England internationals Sam Curran, Tom Curran, and Ben Foakes have all put pen to paper on new contracts with the club. 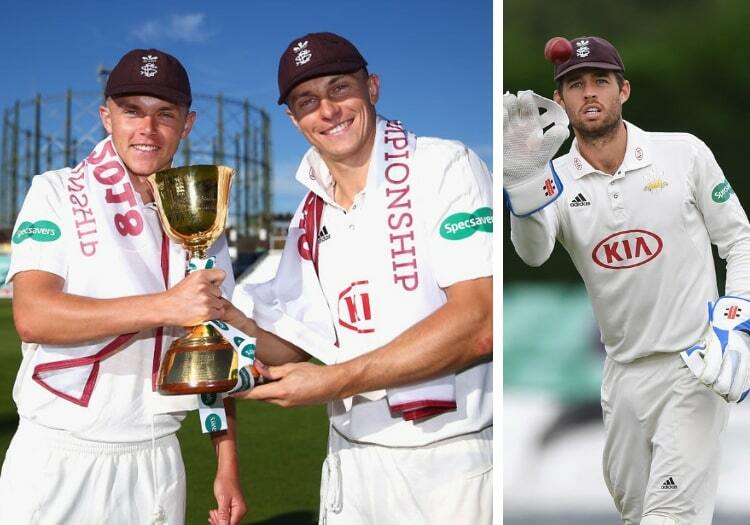 Both Foakes and Tom Curran have signed contract extensions which will keep them at The Oval until 2021, while Sam has signed a new deal which extends his stay until 2020. All three were part of the side which were crowned 2018 County Champions, with Sam Curran and Foakes going on to establish themselves in the England Test setup in the summer. Sam took 27 wickets at an average of 24.32 in the charge to the title, while his older brother Tom finished the season with 19 wickets at 16.42. Foakes scored 624 runs at 36.70. Surrey's director of cricket, the former England wicketkeeper-batsman Alec Stewart, said: "I am very pleased to have extended the contracts of three of our current England players. "It’s a credit to everyone at the club that our players want to sign contract extensions and help play a major part in building on the success of last year."